There has been a house on the estate since the 14th Century, when the estate was then called Woodhall, owned by Robert Fleming. Hatfeild Hall was built between 1598 and 1608 for Gervase Hatfeild and his wife Grace (formerly Grace Savile of Stanley Hall). The Hatfeilds, with whom the Hall was to remain associated for almost 300 years claimed to derive their descent from Beda, lord of Hatfeild in Holderness, before the Norman Conquest. Shortly after their marriage, Gervase and Grace moved to Woodhall and in 1598 the old Hall was demolished to make way for a new one. 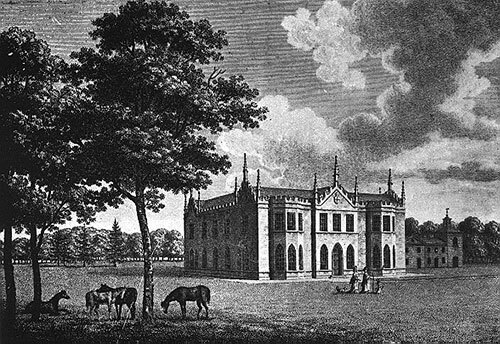 Supplied with oak from Sir John Savile’s woods at Howley, they built a grand mansion with fourteen rooms on each floor. Work on the newly named Hatfeild Hall was finally completed in 1608. The Hall remained in the Hatfeild family for almost 300 years. It was then sold in 1897 at an auction in the Strafford Arms, Wakefield, for £3,750. Throughout the Hall’s history, a Mulberry tree has continued to thrive in the garden and still bears fruit today. Legend has it that a cutting from the Hatfeild Hall Mulberry Tree was taken and planted in the grounds of Wakefield prison. As it began to grow, the prisoners would exercise around it and to keep their spirits up, composed what later became the nursery rhyme, “ Here we go round the mulberry bush”. The Hall has little Jacobean about it now. Its arched windows typify the late eighteenth century Gothic style and constitute much of its charm. The Hatfeild Hall of today has been tastefully restored, incorporating many of the original designs. 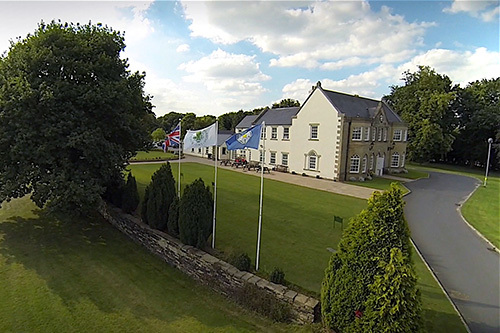 This magnificent one million pound clubhouse and conferencing facility has retained much of its Gothic charm, whilst ensuring the needs of the twenty first century are more than adequately met.